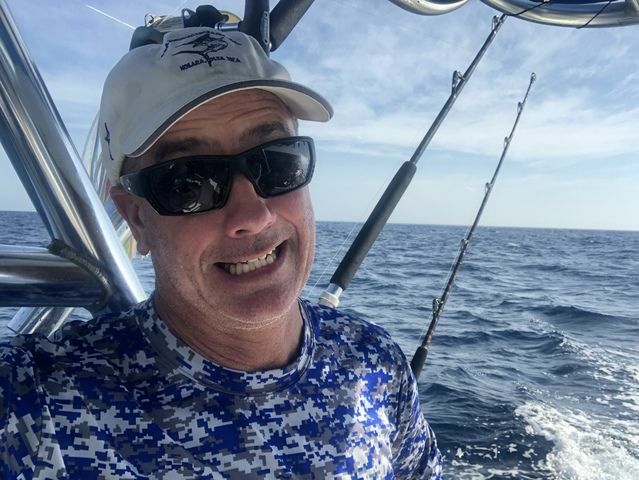 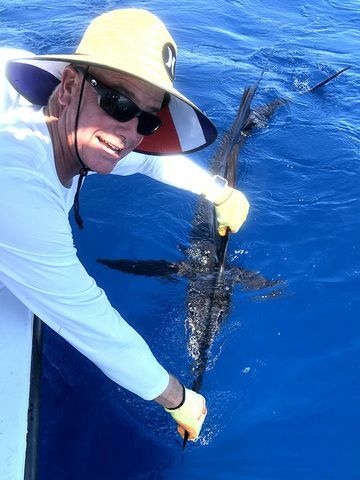 Legendary Carolina angler Dan Johnson was fishing hard during and after the Ship of Fools tournament, and on the 9th he scored two nice Sailfish on the Explorer. 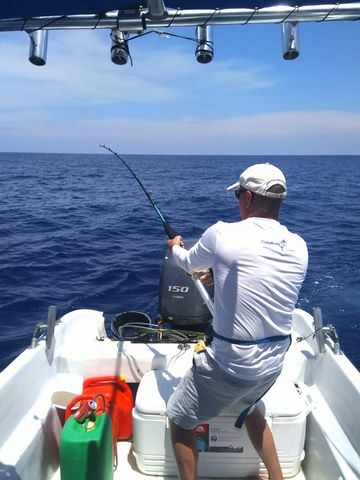 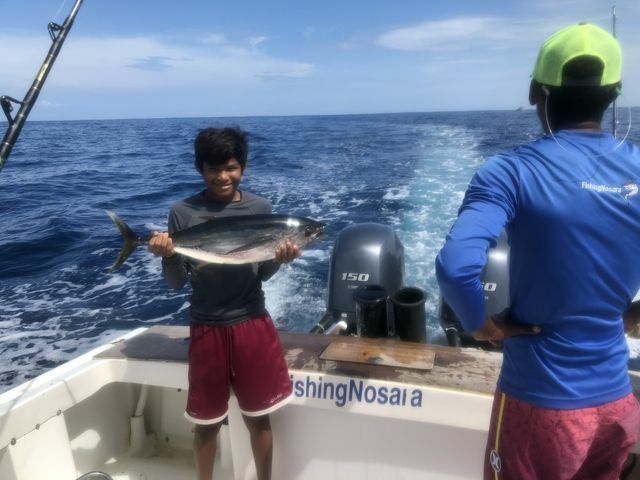 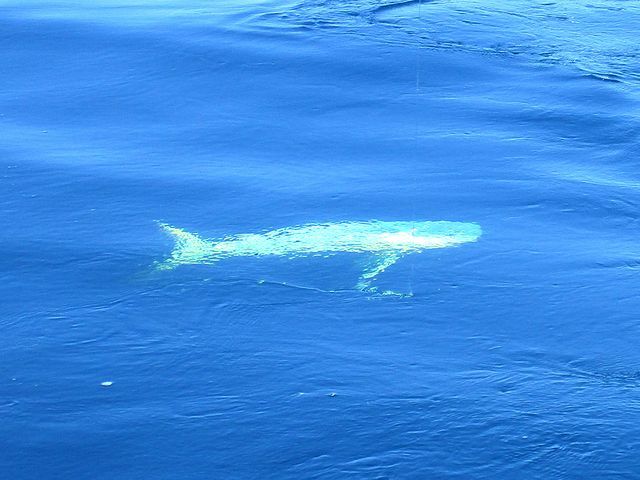 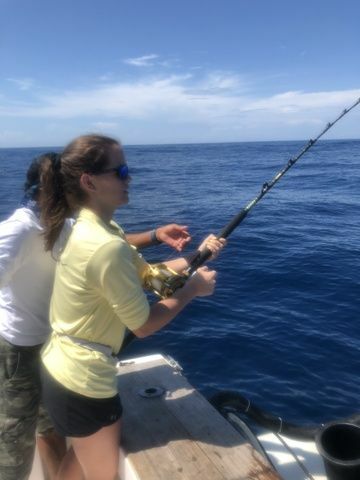 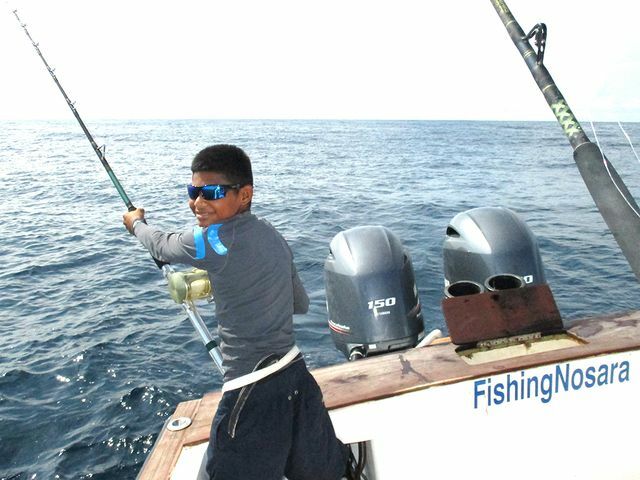 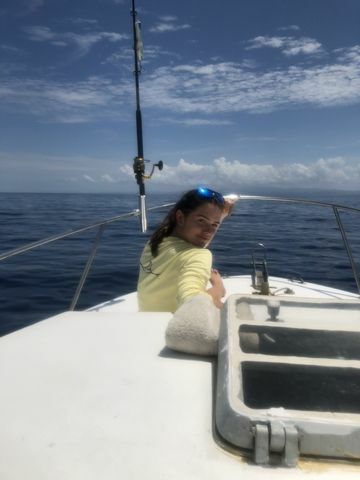 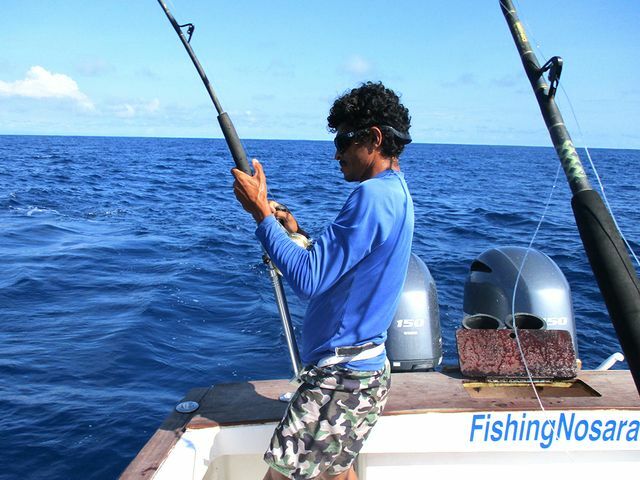 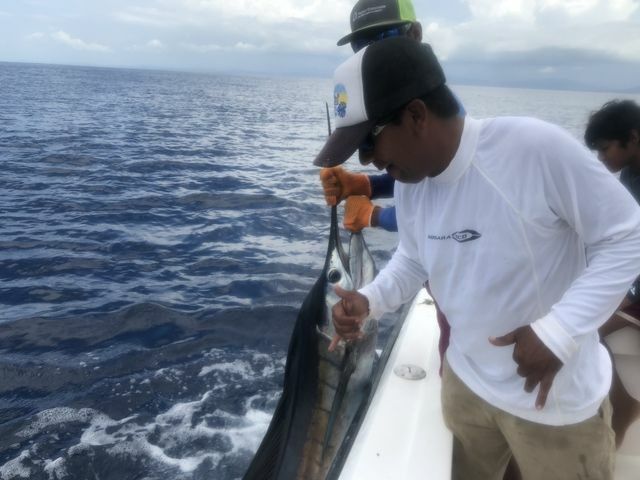 The Explorer also had Blue marlins in the spread but wouldn’t bite, and later nabbed two Groupers and other bottom fish. 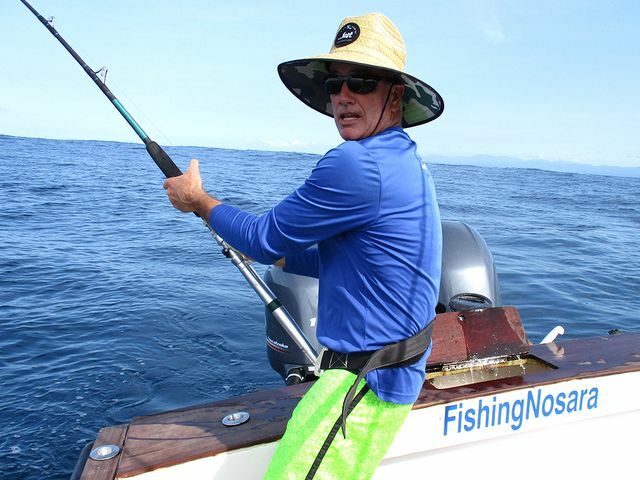 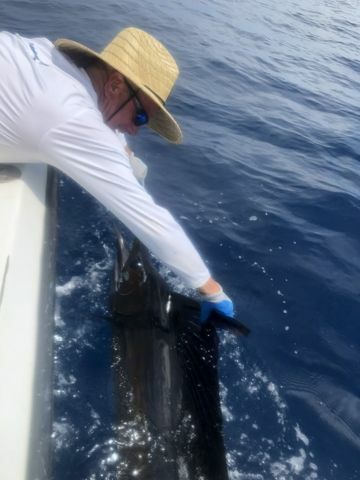 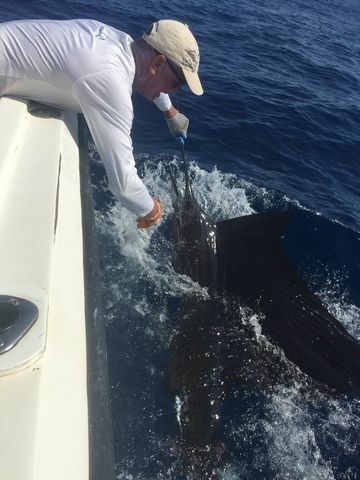 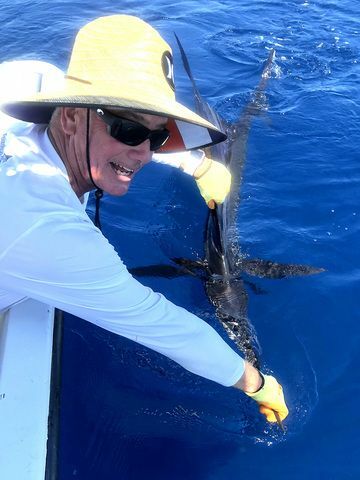 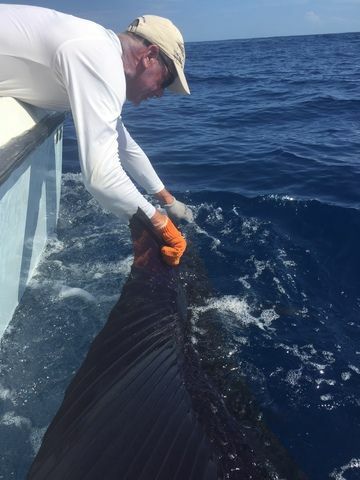 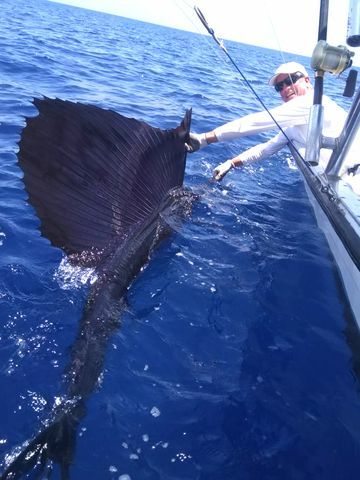 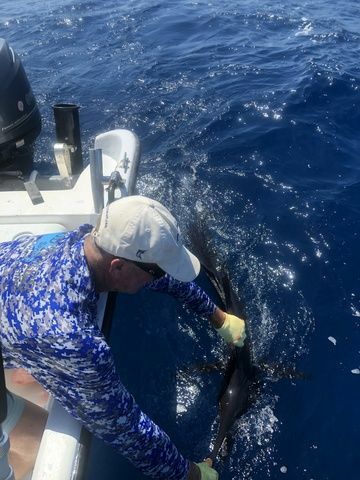 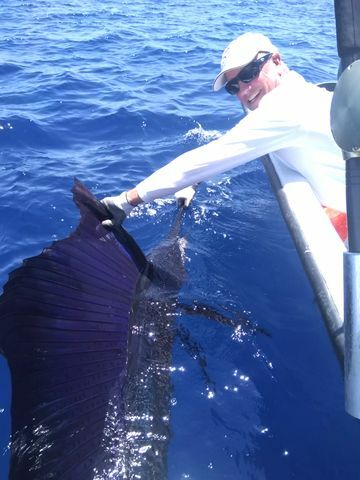 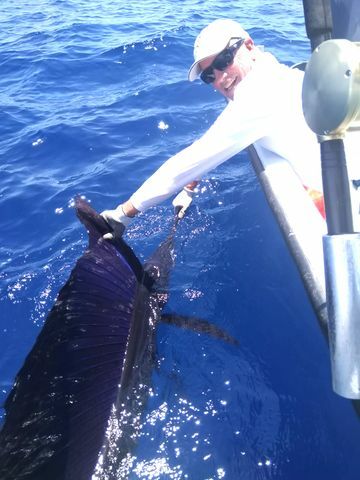 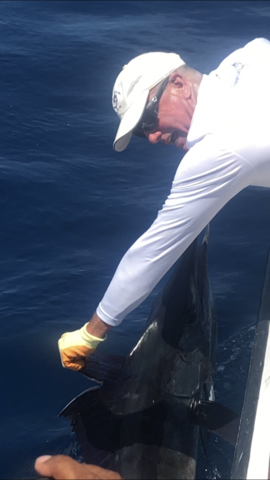 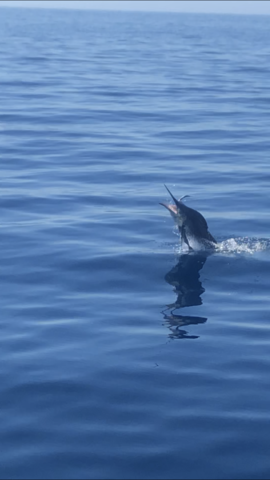 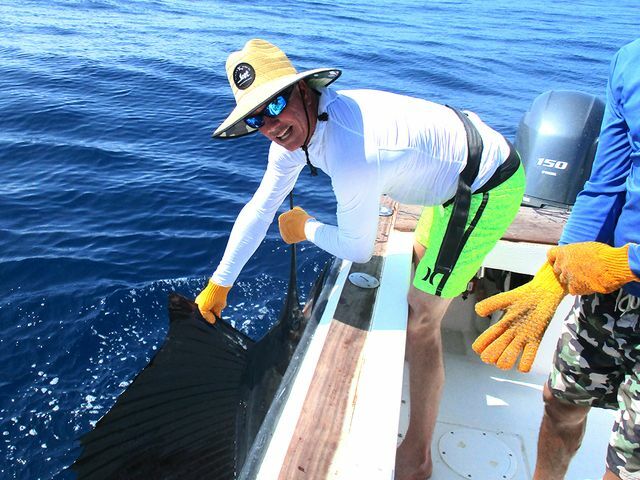 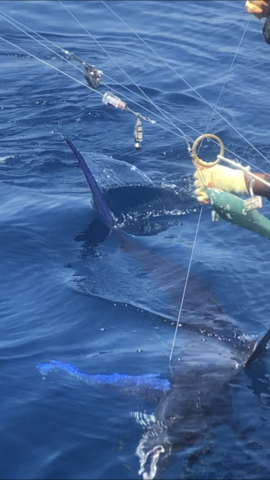 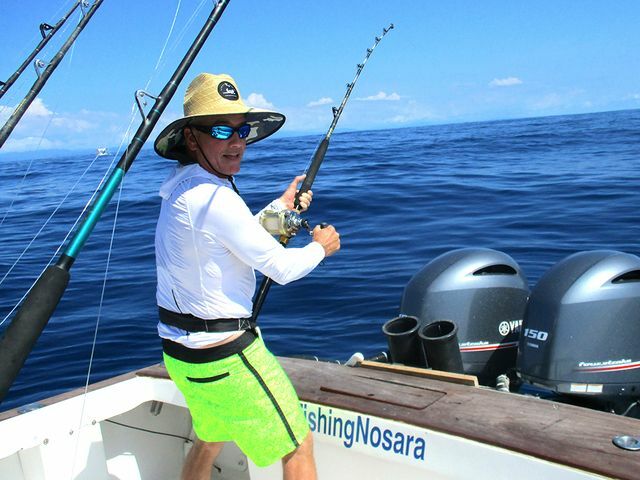 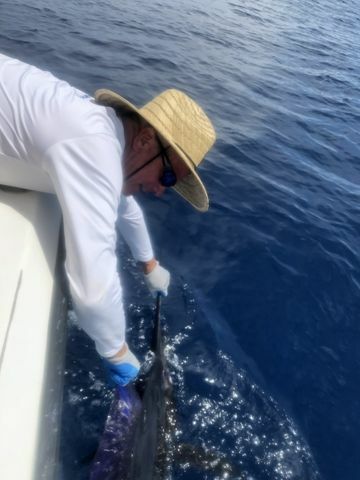 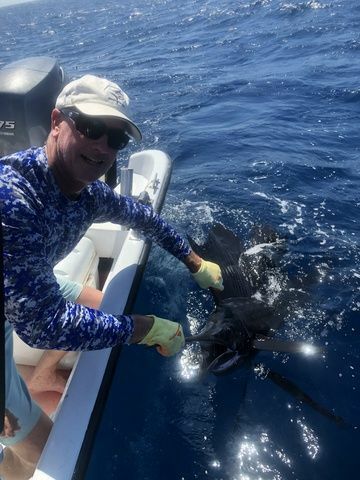 On March 1, multi-time Hall of Famer Dan Johnson joined the Wanderer and scored a Sailfish release and a Striped Marlin release. 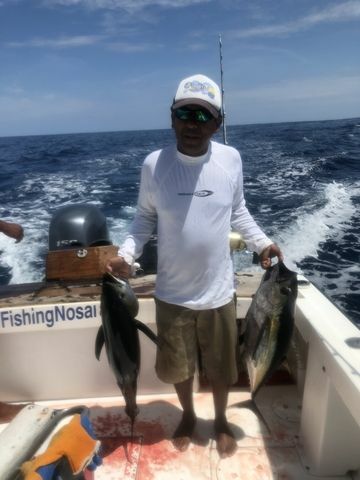 Mr. Johnson has been fishing here for years, and even for an angler of his caliber this is an excellent day of action. 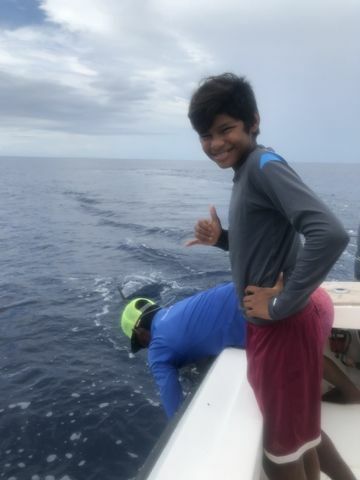 Fantastic work by the mighty flagship! 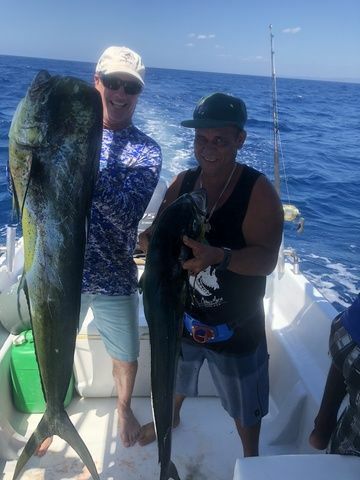 On February 1 our pal Dan Johnson joined Captain Fico and the Explorer for a fun day offshore. 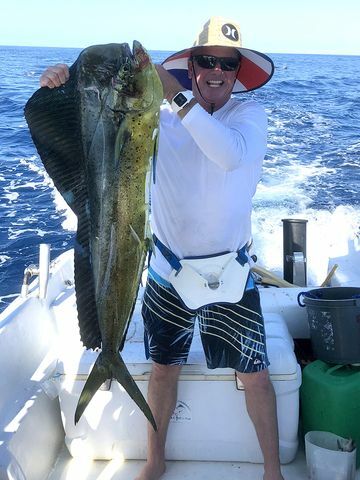 Great work by the barroom brawler Explorer! 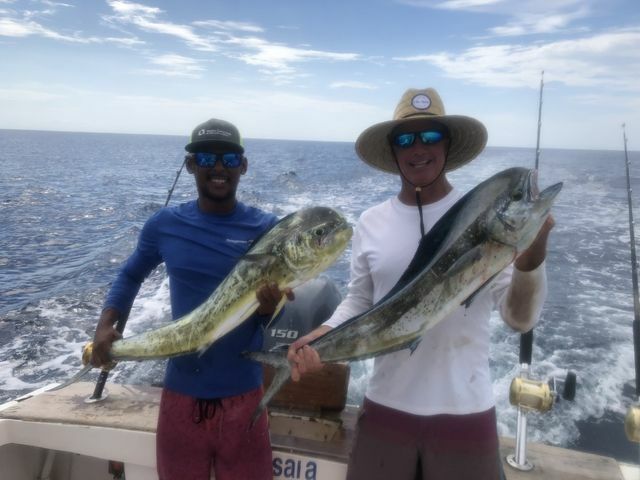 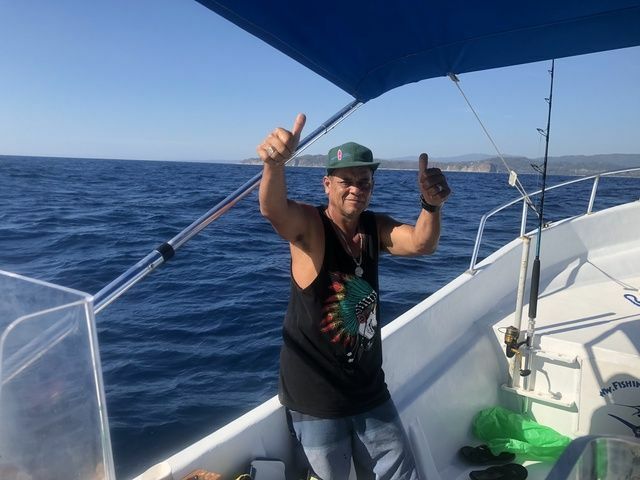 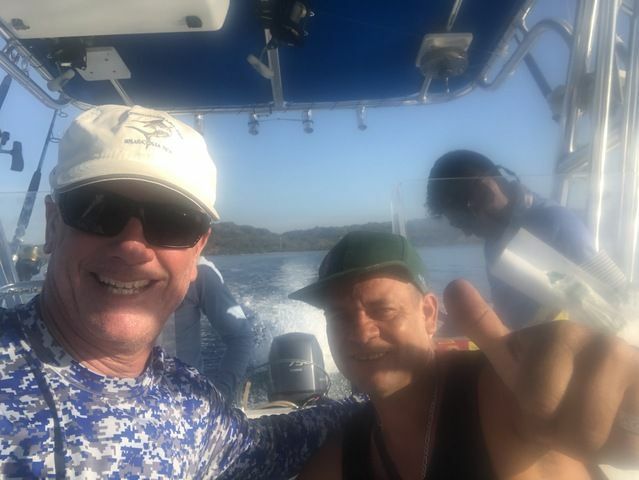 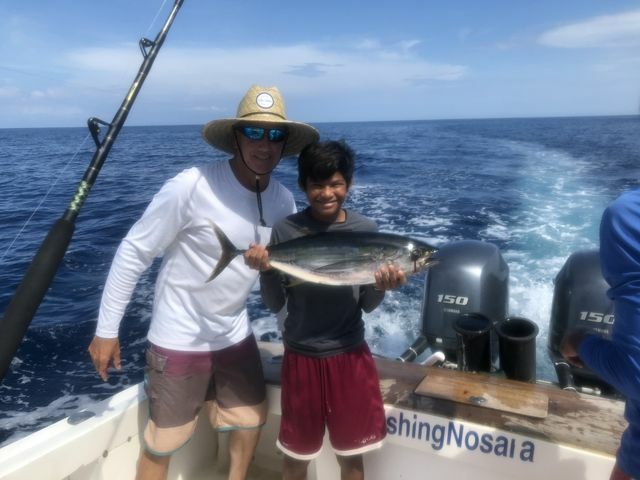 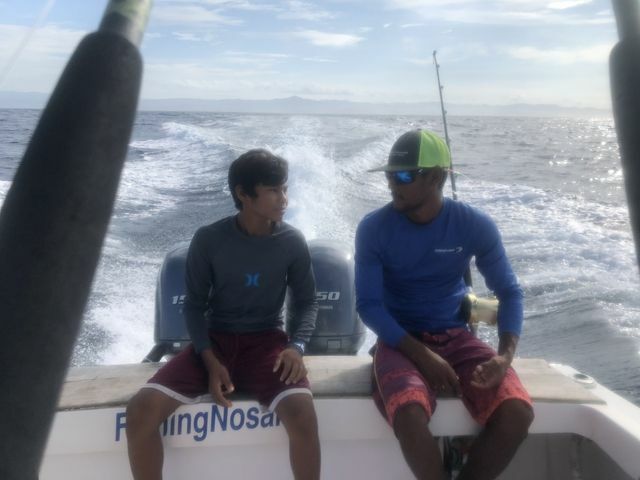 On January 28, FishingNosara Hall of Famer Dan Johnson took local friend Alexander the Coconut Man (Gato) for his first trip offshore on the Explorer. 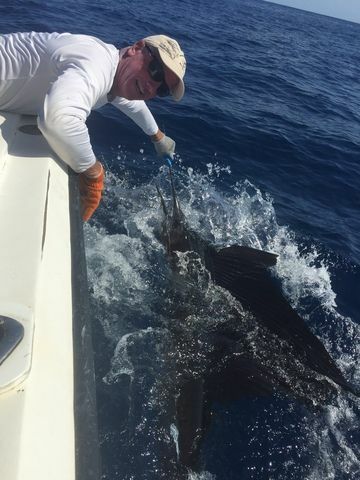 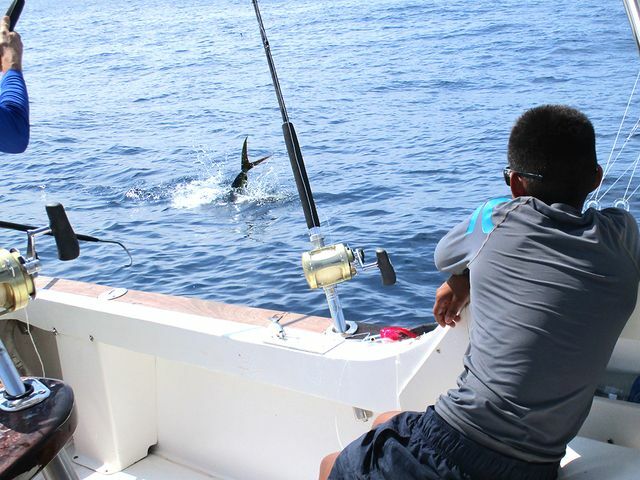 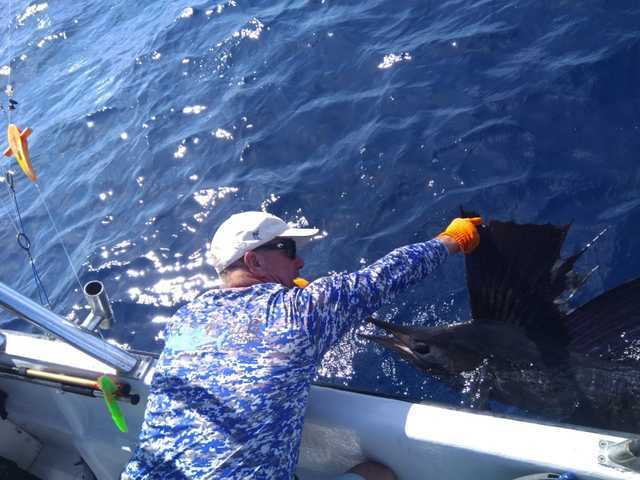 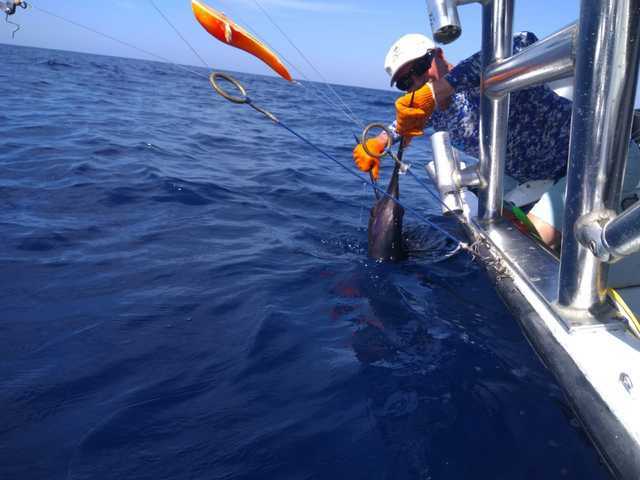 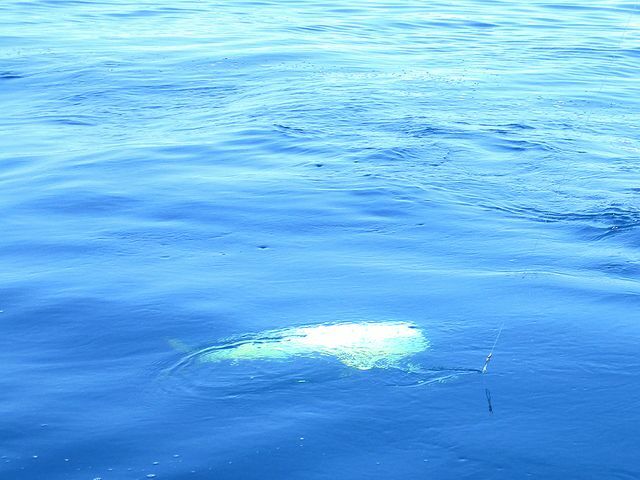 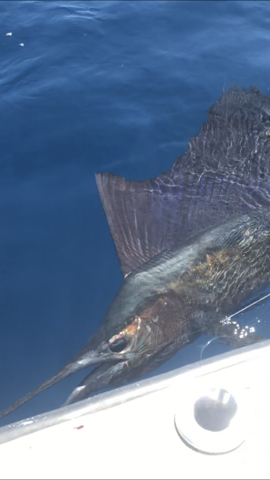 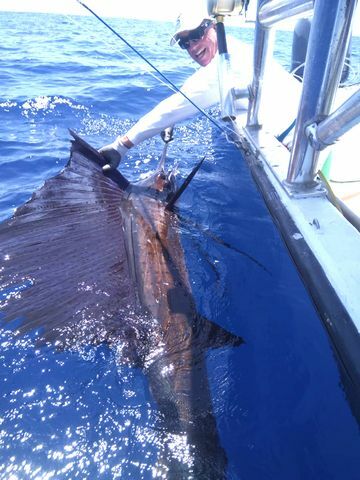 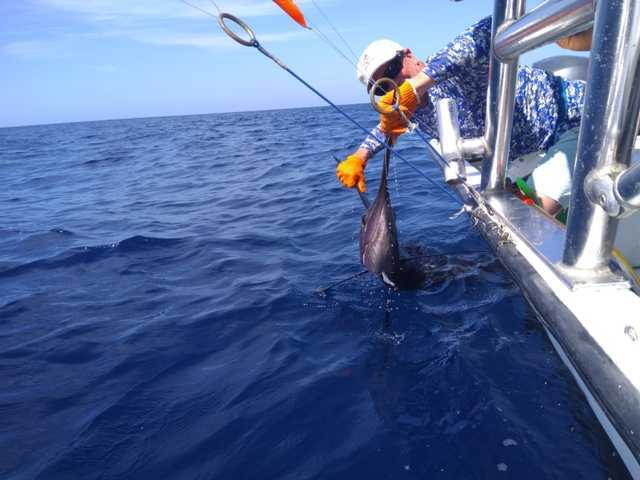 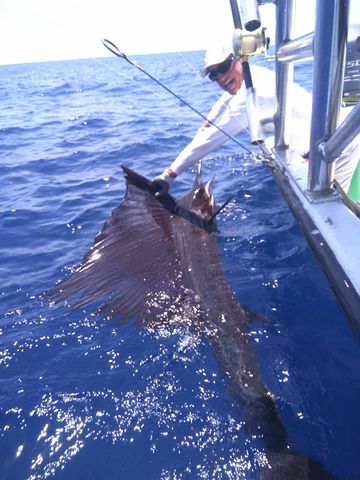 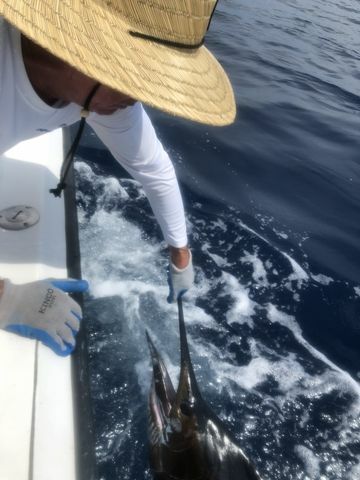 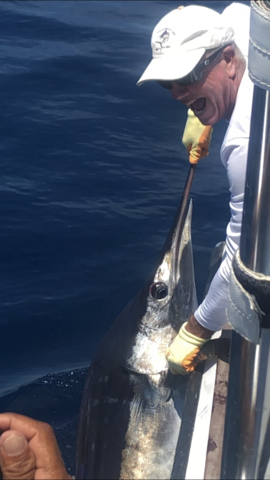 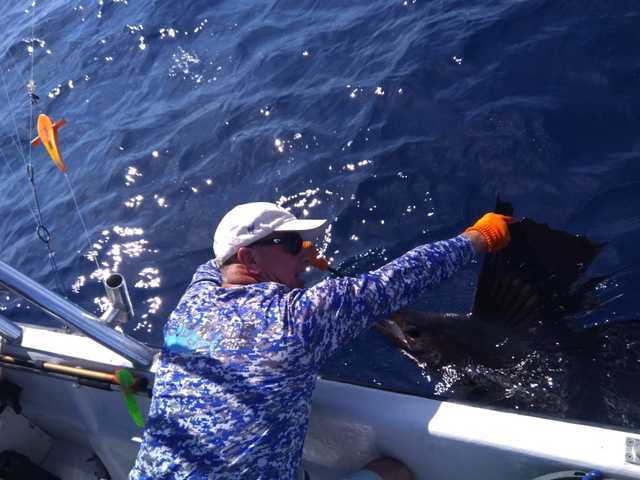 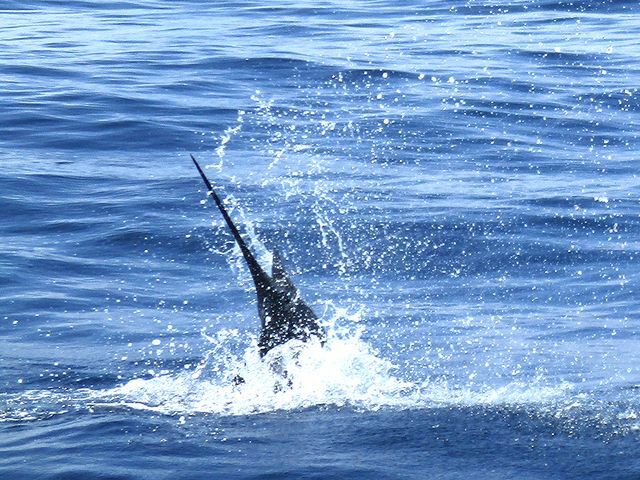 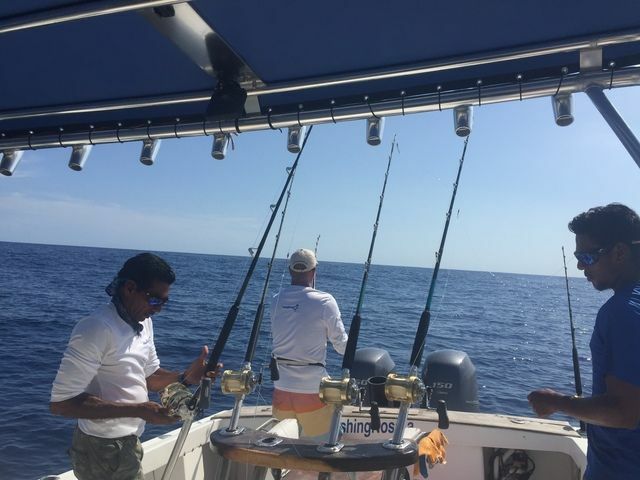 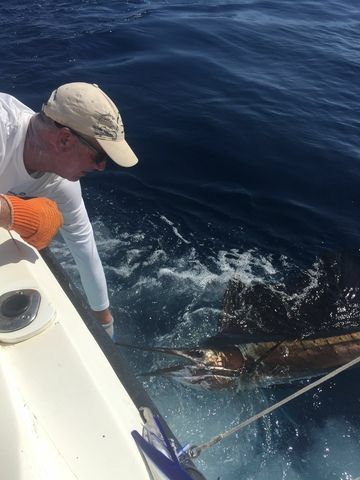 They released three Sailfish, and caught two nice grande Dorados. 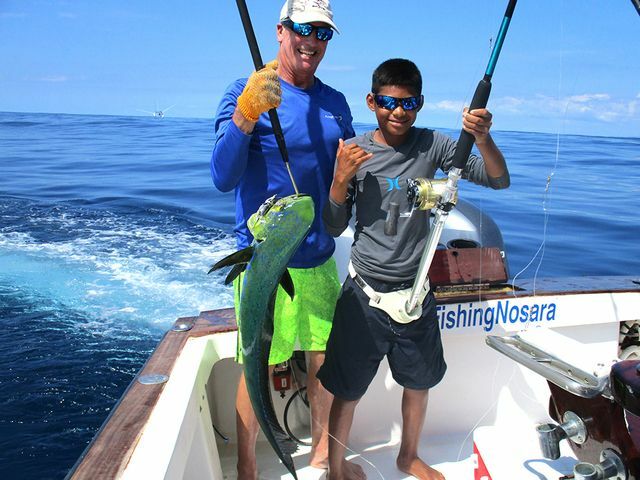 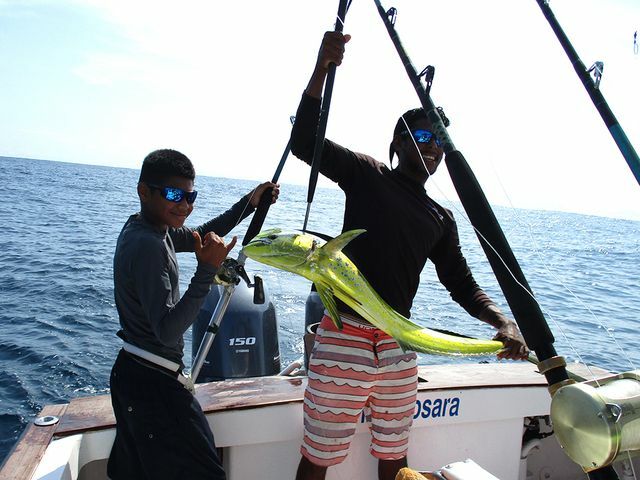 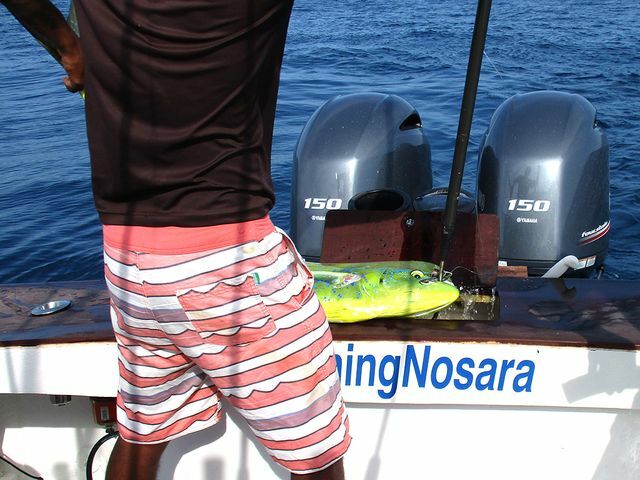 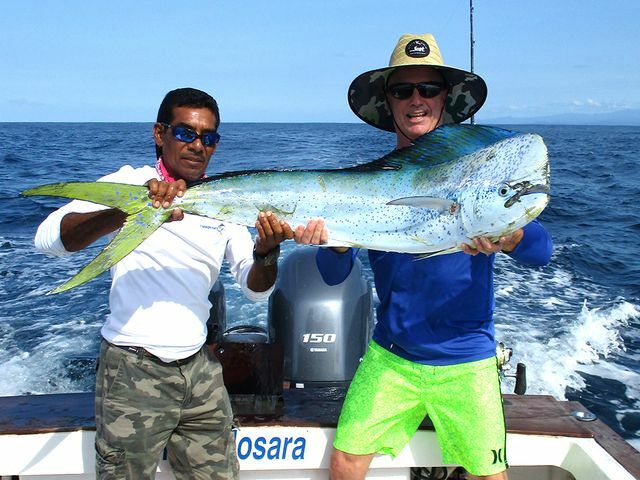 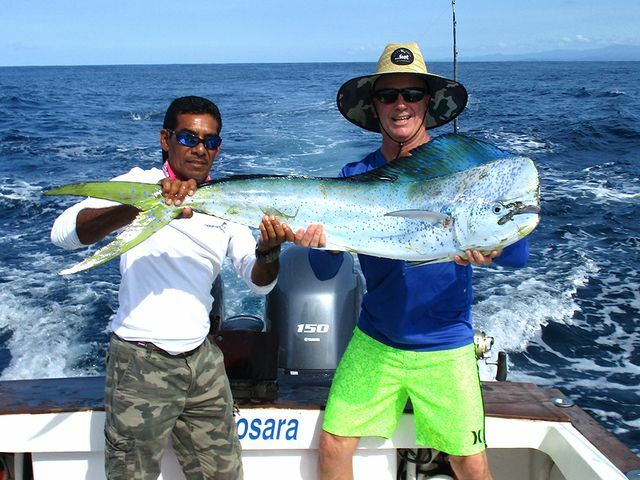 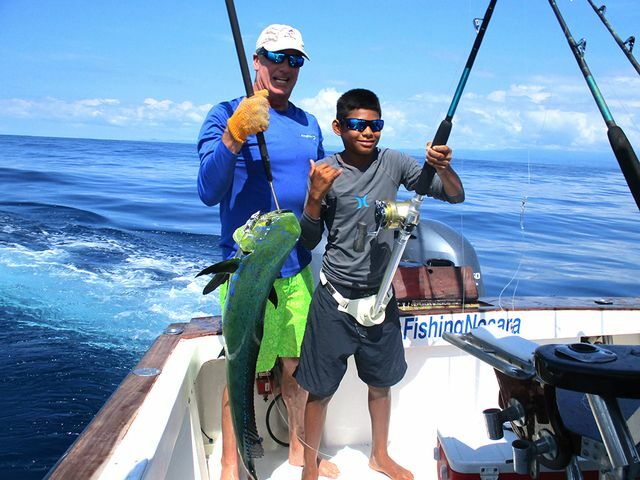 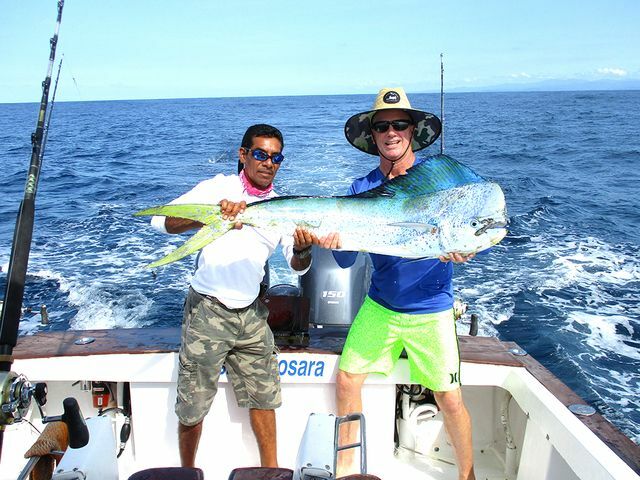 The flagship went out with Dan Johnson again on the 3rd, and this time they began by adding to the Dorado haul. 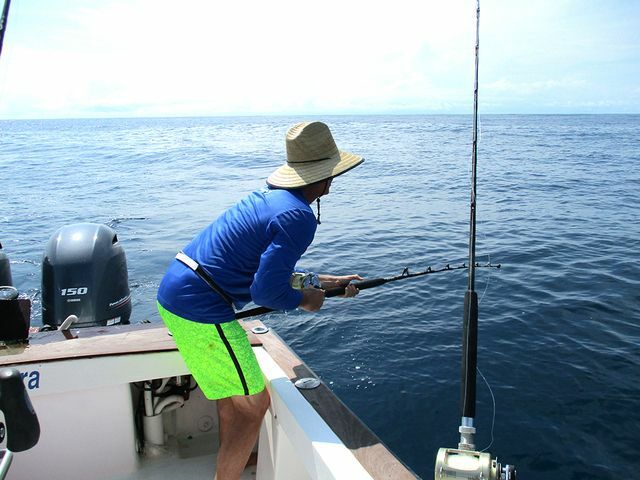 Then Dan belted up for a spirited Sailfish battle. 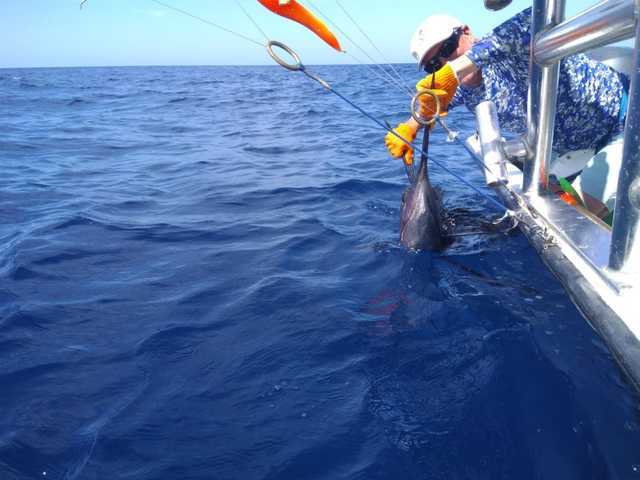 Late in the day the Wanderer scored a beefy Yellowfin Tuna to add variety to the dinner table. 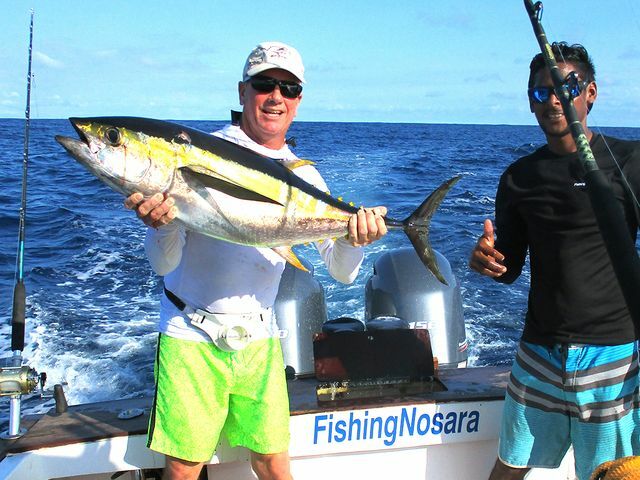 Our great friend and FishingNosara Hall of Famer Dan Johnson returned to the Wanderer on December 1. 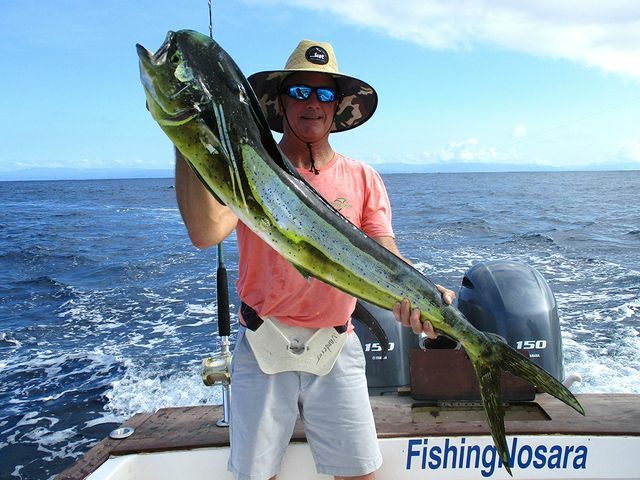 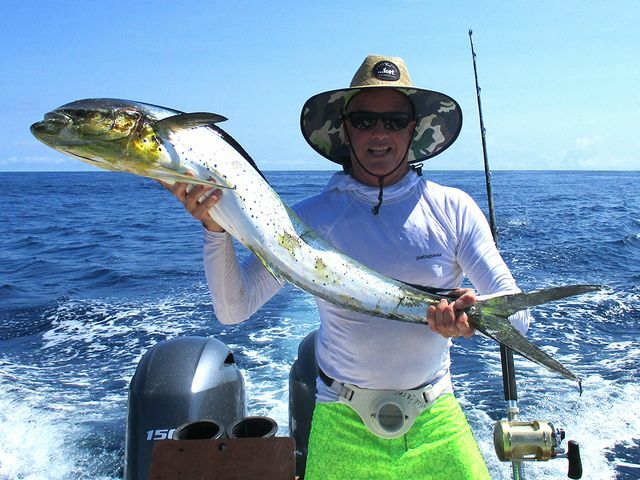 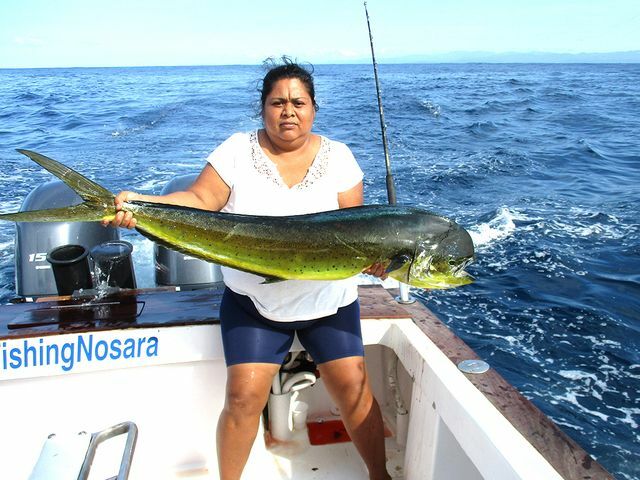 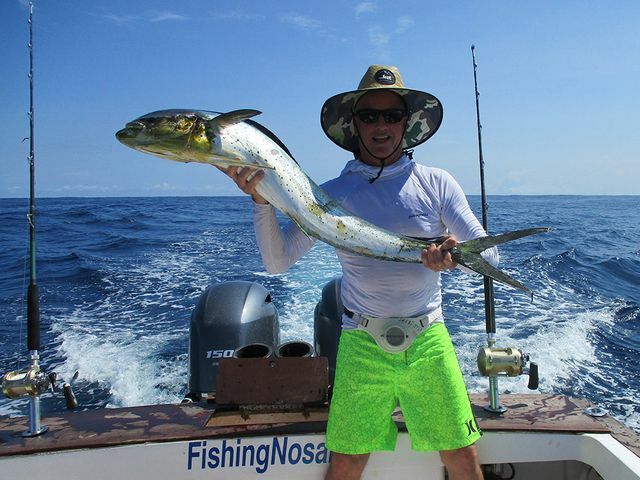 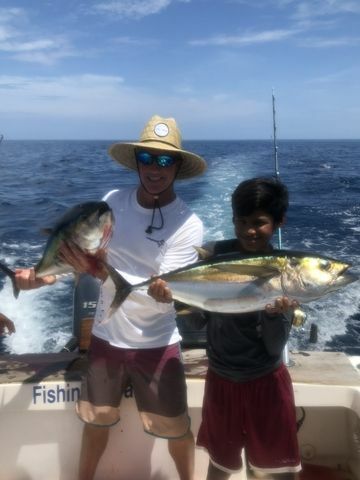 The straw hat-wearing fishing legend had a fun day on December 1 with lots of Dorados on deck. 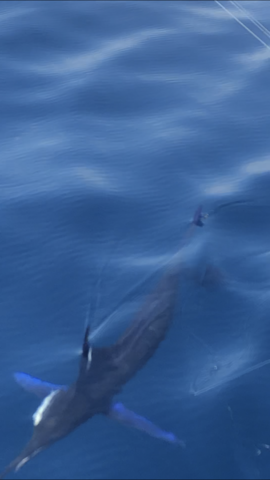 He also brought his friends along to enjoy in the action. 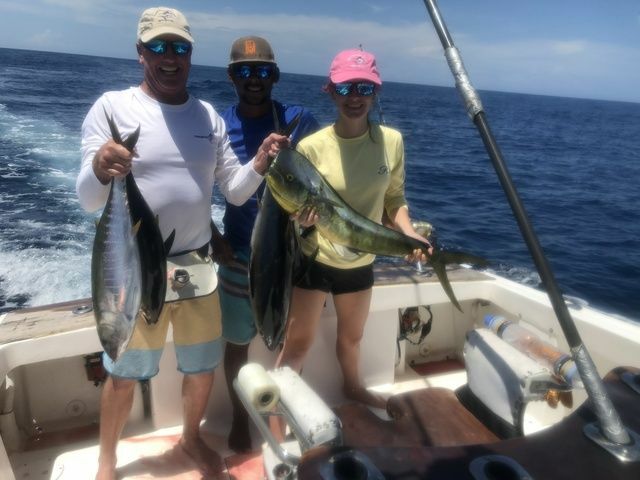 Dan Johnson brought along Delaney Johnson, Anthony Jocxer, and Manuel Obando for great day of rod-bending action on August 16. 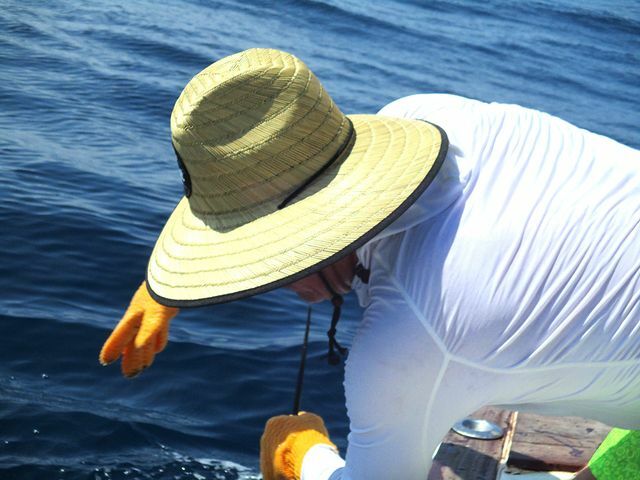 The Wanderer was well up to the task to best these blue water beauties. 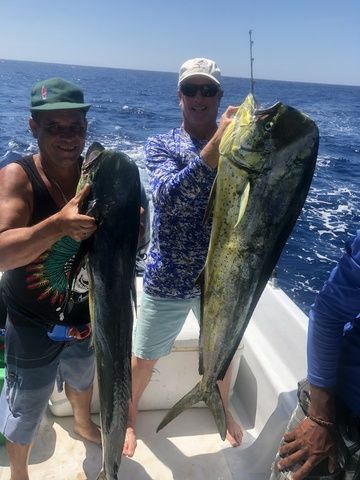 They cleaned up on Dorados and Yellowfin Tuna, with all anglers getting a crack at these tasty meat fish. 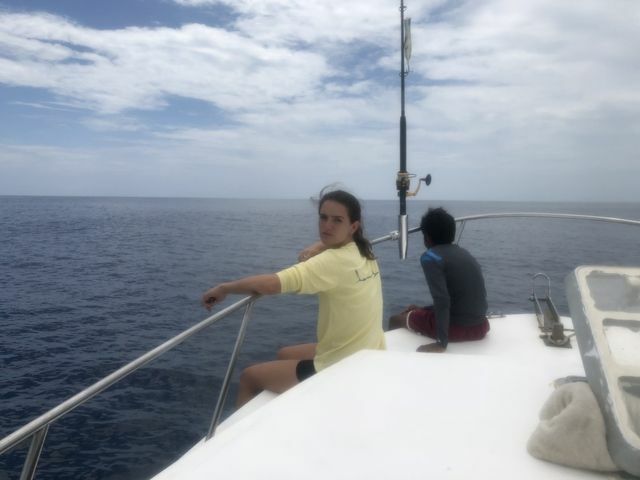 Delaney kept watch as Captain William set the mighty flagship upon a swarm of sweet Sailfish. 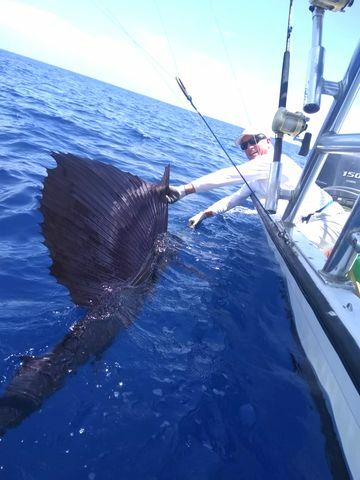 Great work by the mighty Wanderer. 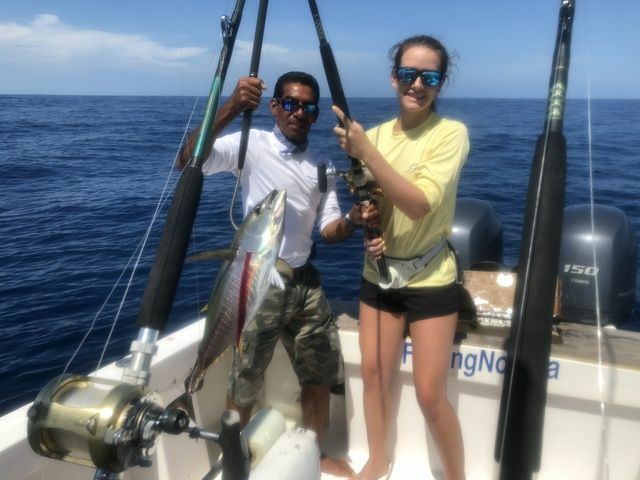 FishingNosara Hall of Famers Dan and Delaney Johnson returned to the mighty Wanderer for another trip to the blue water on August 13. 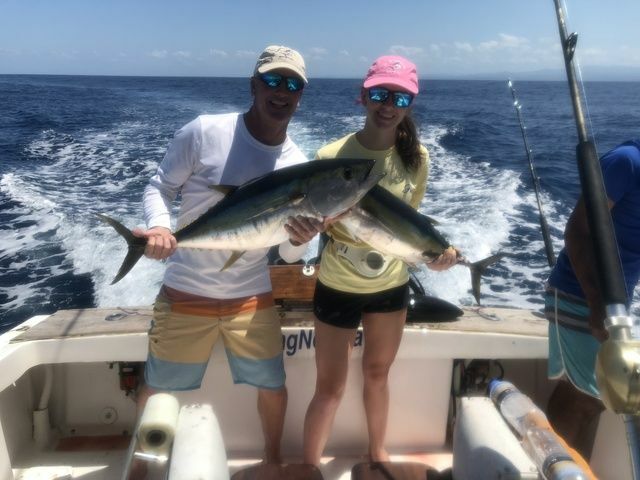 Delaney scored several nice Yellowfin Tunas, and then Dan belted up to battle a supreme Sailfish. 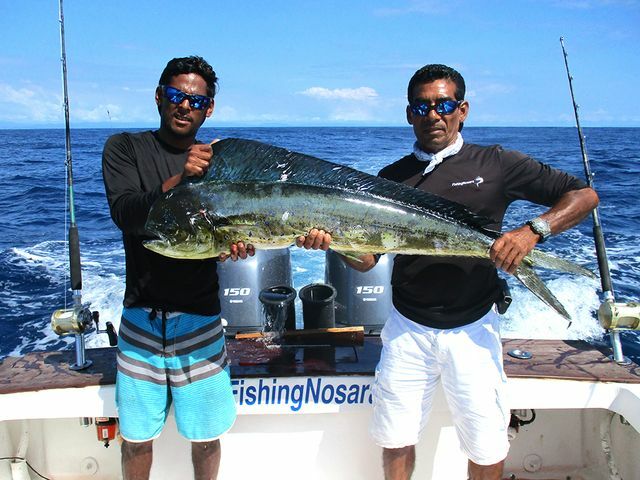 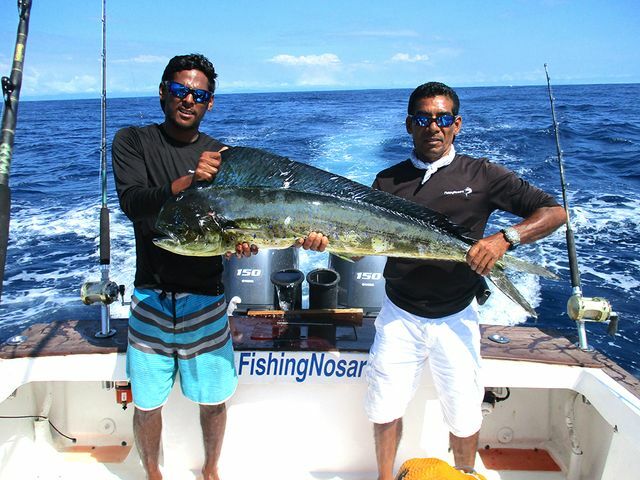 Great work as always by two of our favorite anglers.